The New Software Version is VU5A! We have resolved several software issues and have an update to the WatchDog and WatchDog LT Programming Software. A few notable changes are listed below. 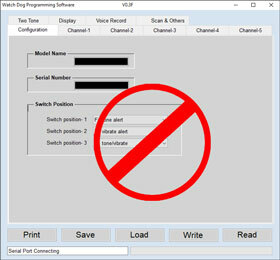 Your PC Control Panel "Device Manager" lists the COM Port assigned to the WatchDog Programmer, for example, Prolific USB-to-Serial Comm Port (COM4). 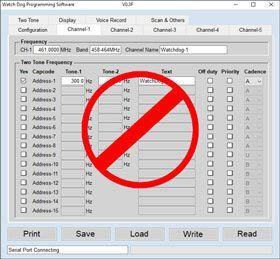 Previously, if you had a number of USB devices connected to your PC and the WatchDog Programmer COM port was assigned to something other than COM 1-8, you had some reconfiguring to do. That is no longer the case as COM Ports 1-16 are now available for use. 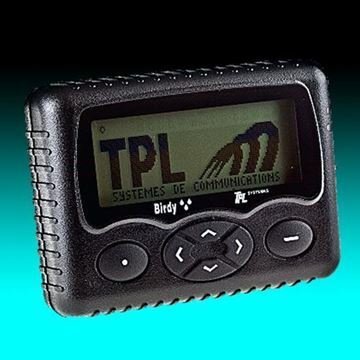 There was an issue with the previous programming software version where after clicking the "Read" button, certain default pager values appeared on the screen instead of the pager’s programmed values. 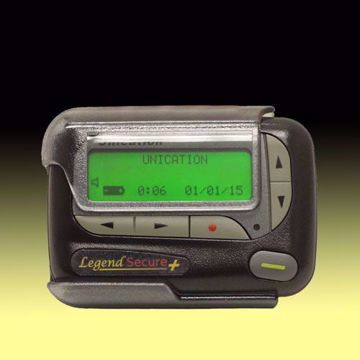 If you clicked the "Read" button a second time, you usually got the correctly programmed pager data. 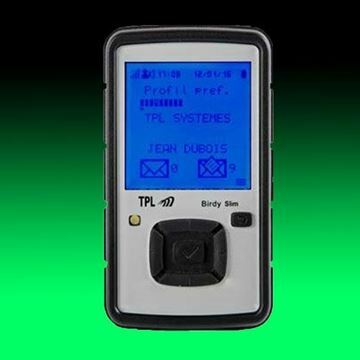 This issue has been resolved in the software upgrade and only one click is now needed to "Read" the WatchDog and WatchDog LT pager programming information. The Model Name, Serial Number, and Power up message screens had been "blacked" out on many computers depending upon the Theme that was configured for that particular computer. If the computer configuration was set for black text and black background, you couldn’t read the information. 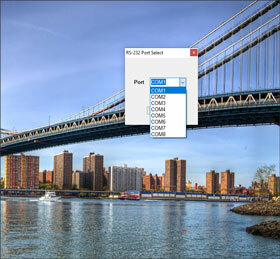 The text background setting in the new software has been forced to display white and is no longer dependent upon the computer Theme configuration. Black text on a white background is now readable. 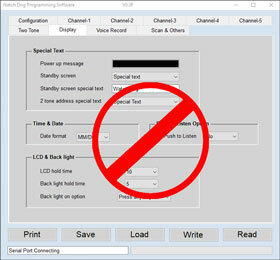 The Standby screen on the previous Programmer’s Display Tab allowed a selection from three options: "Special text", "Time & Date" and "Channel Name". If "Special text" was selected, you had the option of selecting "Special text" or "2 tone address number" from the "2 tone address special text" screen. The "Special text" selections were not often requested and therefore have been removed in this latest version. The "Time & Date" and "Channel Name" options remain.